We supply artificial grass to homeowner and commercial customers throughout Scotland who are looking for artificial grass for pets of the highest quality from an experienced team who can carry out installation quickly and efficiently, with minimal disruption at competitive prices. 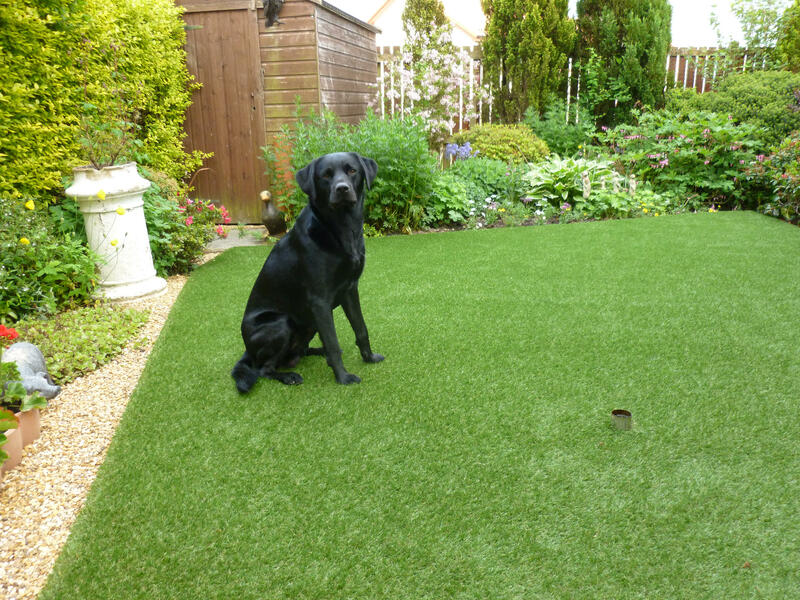 Artificial grass is becoming hugely popular for pets, in particular for dogs as they love the surface. Artificial grass gives dogs the opportunity to exercise year-round without you having to worry about them getting mucky and bringing the mud into the house, causing a lot of hassle for you in terms of cleaning them, and the house. Because your artificial grass requires very little maintenance you can forget worrying about fertiliser or pesticides making them ill, or your dog getting covered in freshly cut grass. With artificial grass you don’t run the risk of your pets ruining the surface with bald patches, whether it be through scratching, digging or fouling, as the artificial grass is tough and can stand up to the rigours of pets playing and exercising. Artificial grass won’t be faded or damaged by pet waste like natural grass may be, it is easily cleaned up, and if it is left for a while it still won’t cause damage. Our team of artificial grass specialists seek to understand each customers specific requirements for their pet area, whether it is for a home garden or a commercial kennel, in order to create the design and find the artificial grass that suits them best. Installation is undertaken at a time that suits you and will be completed in a timely and professional manner so as to minimise disruption while maintaining our high standards.